Relaxation is the goal of life. We work to have money so that we can buy what we need in order to be comfortable. If relaxation was inherent, no one would work, and the world would be quite calm. However, as it is, we put ourselves through high-stress situations in order to live for the short moments of bliss and relaxation. But when those moments come and it’s hard to relax, it’s almost as if it were all for naught. Luckily, there are several supplements that can help with relaxation. In particular, Mucuna Pruriens is great for relaxation as well as a possible increase in testosterone for males. 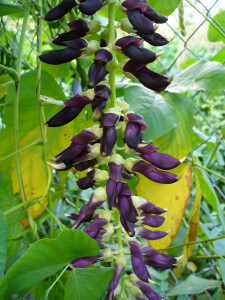 Mucuna Pruriens (also known as velvet bean) is a plant/herb that is native across Asia, specifically on mountains. It is used all over the world for a number of conditions and is also used as a general health supplement. Mucuna Pruriens Extract is commonly referenced across numerous bodybuilding and fitness forums for increasing testosterone. It is also popular among many other supplement forums for its relaxation effects, although is known to clinically increase dopamine and testosterone which is quite contrary to most relaxation supplements. Mucuna is a good source of L-Dopa, a direct precursor to dopamine in the body. It is likely that this is the method of relaxation that people often experience with Mucuna. L-Tyrosine and L-Phenylalanine are converted into L-Dopa in the body, however, Mucuna is a good direct source of L-Dopa. The method of relaxation is quite separate than typical relaxation because dopamine is our body’s “reward” system. Oftentimes companies will advertise Mucuna as mood boosters for emotional well-being. However, it can be dangerous to mess around with the dopamine system in the body. Oftentimes, people will pursue a dopamine “high” and experience a depressive comedown. It is for this reason that Mucuna should be taken in moderation, at the recommended dose on the bottle. It is also known that dopamine converts into adrenaline in the body. The “relaxation” that companies and distributors use on their Mucuna products isn’t a typical relaxation that one would experience with a supplement like Melatonin or GABA. Obviously, finding a low price is important, but knowing the product quality is equally if not more so. I found three well known mucuna suppliers ranging in cost. Not only was I able to find the best price at Powder City, but the site also uses third-party testing to ensure quality and purity of the supplement. This is vital information to have as you should always be 100% certain of what you are ingesting. This peace of mind along with the great price make this an all around good option for improving your relaxation.